Representatives from the Afghan government and the Taliban met in Urumqi, in China’s Xinjiang province earlier this month, for discussions on the way forward in Afghanistan. The high level of participation by the Afghan government, and the presence of Chinese and Pakistani representatives along with the Taliban would indicate that a serious attempt to provide a regional resolution to the Afghan crisis is underway. Representatives from the government of Afghanistan and the Taliban secretly met on May 19-20 in Urumqi, the capital of Chinese Xinjiang’s Uygur Autonomous Region. The meeting was also attended by Chinese and Pakistanis. Reports about the meeting first appeared in the American newspaper ‘Wall Street Journal’ (WSJ) earlier this week, giving a positive assessment of the meeting. The article underlined three crucial features of the meeting. First, the Afghan government was represented by a very senior official, Mohammed Masoom Stanekzai, the acting defence minister since May 24. The high level of representation is unprecedented. Second, the Pakistan army’s Inter-Services Intelligence (ISI) was actively involved in the organization of the meeting which, according to the writers, proves Islamabad’s desire for a peaceful settlement of the situation in Afghanistan. Third, China, which hosted the meeting, showed that it wants to be more involved in the Afghan problem than it has before. Most of the world’s media, including Russian, replicated the WSJ's positive assessment of the meeting in Urumqi. However, reasons for optimism are much fewer than reasons to doubt the success of this initiative. The meeting was reportedly not a negotiation, but preliminary consultations about the beginning of negotiations. The fact that several years after negotiations started between the Afghan government and the Taliban, they decided to restart negotiations from scratch indicates the failure of the previous efforts and casts doubt on the prospects of future ones. The choice of head of the Afghan delegation at the meeting is quite intriguing. If these were no more than preliminary consultations, why would such a senior politician participate in them? Perhaps the Afghan authorities expected a more conclusive outcome from the meeting, which Taliban representatives did not accept? 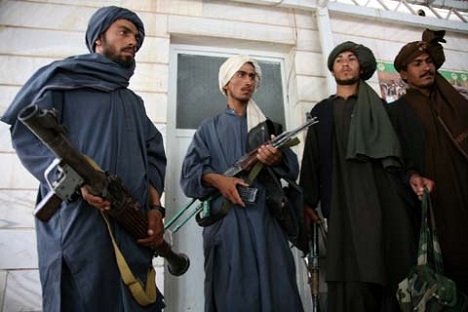 The Taliban who arrived in Urumqi were not of the same level of seniority as Stanekzai. While Mullah Abdul Jalil (Head of the Taliban’s Committee on Internal Affairs), Mullah Mohammad Hassan Rahmani (former head of Kandahar Province) and Mullah Abdul Razak (former interior minister) occupy prominent positions in the Taliban hierarchy, unlike Stanekzai, they do not have the authority to represent all of the Taliban. These Taliban representatives were chosen to come to Urumqi because of their contacts with Pakistan's ISI, the writers said, raising questions about their dependence and links with Pakistan’s intelligence service. The role of Pakistan in the organization of the meeting between the Chinese authorities and the Taliban is the most controversial issue. The WSJ article portrays it as evidence of Pakistan's constructive approach to the Afghan problem. Such an assessment may be both correct and incorrect. It is not, however, the main reason for the active role of Pakistan in the meeting. The primary reason why Pakistan and China chose to host the secret negotiations is that it enabled Islamabad to increase its influence over the political processes in Afghanistan. In earlier years, Pakistani felt that its participation in Afghan affairs was deliberately limited by other countries, demonstrated by NATO's decision not to invite Pakistan to the Lisbon summit in 2010. Pakistan had felt its influence curtailed during the tenure of Hamid Karzai as President of Afghanistan. The strengthening of Pakistan's influence, evident from the Taliban's list of participants of the meeting, will not necessarily create the best conditions for successful negotiations between the Afghan government and the Taliban. Pakistan's vision for Afghanistan’s future is not shared by everyone, not only in Kabul but also in the Taliban itself. What is China’s interest in this controversial initiative? Despite providing support for the new format of talks in Beijing, China is hardly ready to settle for being a “broker” in the negotiation process between the government of Afghanistan and the Taliban, as media reports in 2014 suggested. China's involvement in the Afghan theatre is growing. Beijing is involved in all major dialogue formats related to Afghanistan, including at the United Nations, the Shanghai Cooperation Organisation, the Istanbul dialogue, the ‘China-Afghanistan-Pakistan’ dialogue and the ‘Russia-India-China’ format, not to mention the active bilateral Sino-Afghan contacts. In the summer of 2014, the Chinese Foreign Ministry introduced a position of special envoy to Afghanistan and Pakistan, and named Sun Yuxi, a former ambassador to Afghanistan in 2002-2005, to the post. If the Urumqi meeting leads to full-fledged negotiations between Kabul and the Taliban, it will be a political outcome supported by Beijing to achieve a certain goal. In case contacts between the Afghan authorities and the Taliban go forward, China’s goal is not only to achieve a political solution to the Afghan problem through peaceful negotiations. It would also give China an opportunity to establish stable channels of communication with the Taliban, while getting a better understanding of the capabilities and limitations of Pakistan in Afghanistan.